It was the shape that caught my eye. 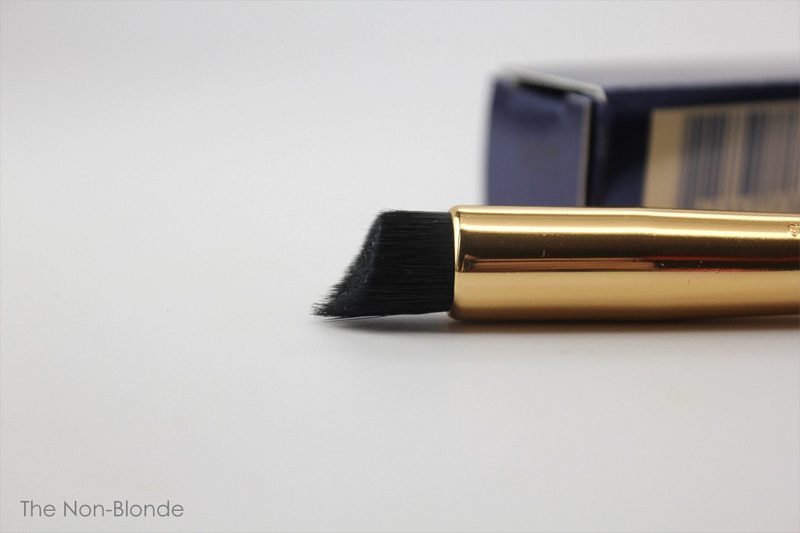 I have quite a few eye contour brushes that are cut on an angle, but the precise curve of this Estee Lauder Sculpting Shadow Brush looked very interesting. Sculpting is a buzzword at the moment (I'm working on a review of the new Estee Lauder eye sculpting kit), and it's obvious that this brush was designed with that in mind: it's meant to go into the crease and create definition, as well as apply the base color on the lid. According to the people at Lauder, the thin edge can also be used for lining and detail work, but in my opinion it's harder to do since the brush head is rather big (compared to a detail brush). Comparison to Hakuhodo S122 and G515, both softer and fuller than the Lauder, better for an overall light wash or blending, less accurate for placement. 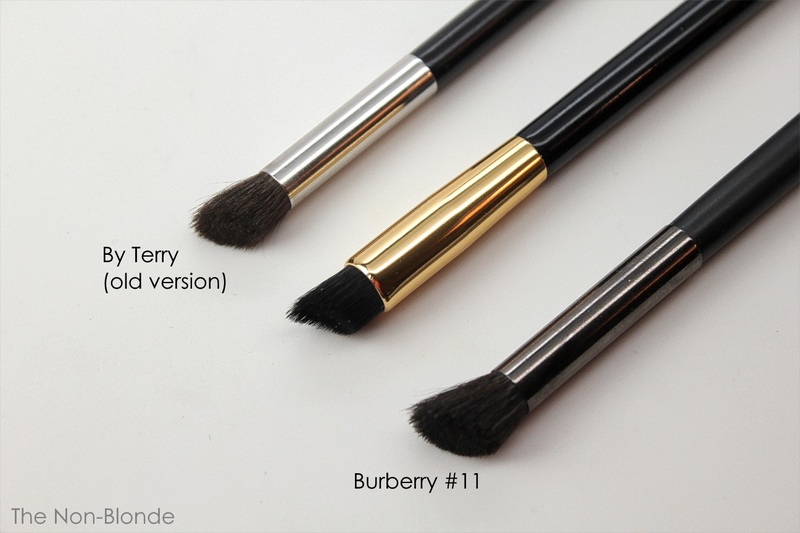 Lauder offers a tighter shape and softer hair than Burberry #11 and the old By Terry one. The box doesn't say what kind of hair was used for the brush. I thought it was natural goat, but Saks web site claims it's synthetic. Isn't it time that companies are required to give us this information? 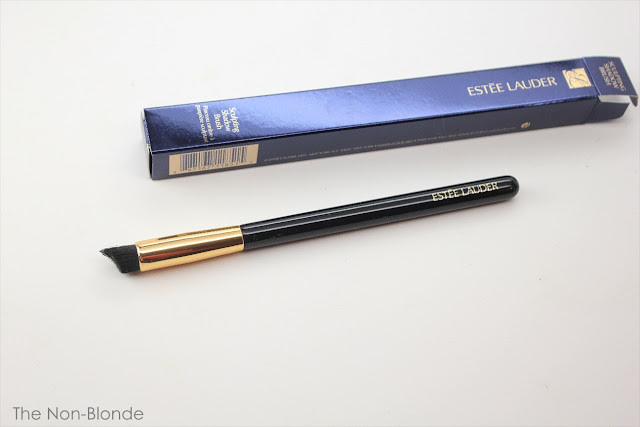 In any case, the hair used for Estee Lauder Sculpting Shadow Brush is wonderfully bouncy, packed to maximum effectiveness, and feels nice on the lid. 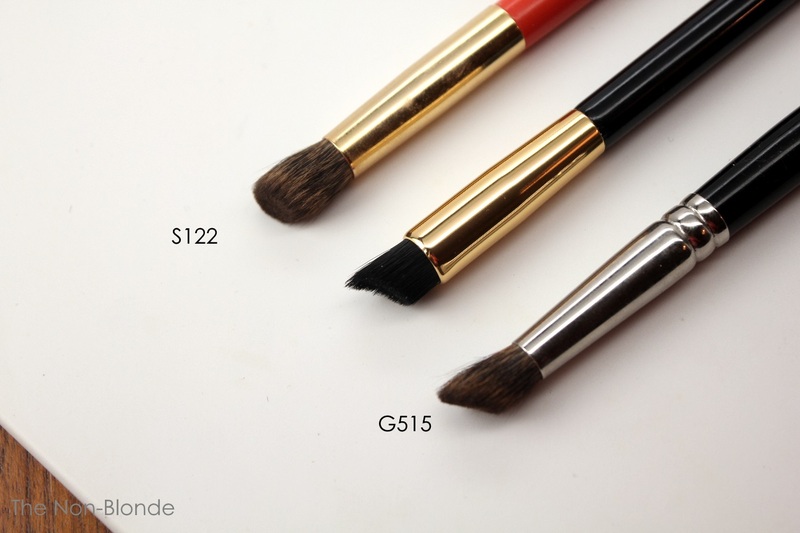 It's not as heavenly soft as my Hakuhodo squirrel brushes (S122 and G515), but it's nicer to the touch than any other eye contour brushes in my collection, which should tell you a thing or two. Does the unique curve make a real difference? Not for me. My mobile lid is larger than the brush head, so it's not a "one swipe and you're done" tool. But it doesn't matter. Between the hair quality, density, and the basic good shape, this is a really good eye brush that allows for blending the lid color, the crease, and a transition shade with ease and accuracy. It picks an impressive amount of product (depending on the eye shadow itself, of course), and is effective for both placement and blending, making it a useful brush. 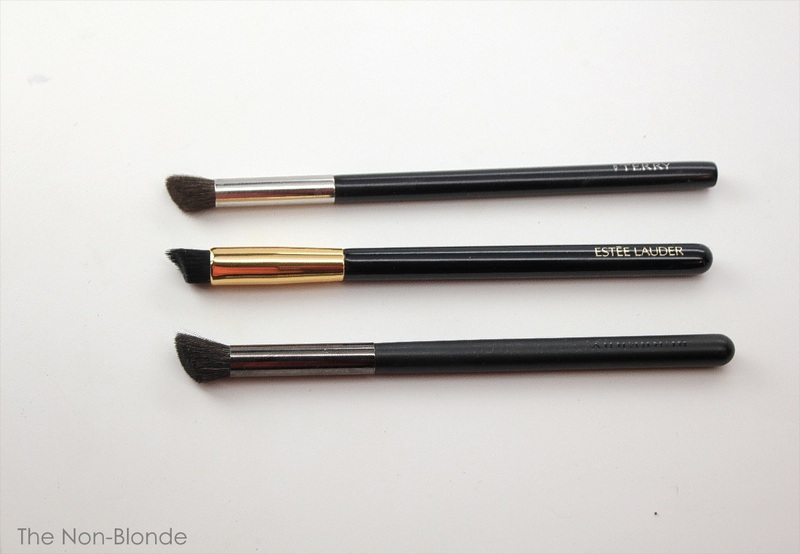 Bottom Line: very nice to have, even if you have other eye sculpting brushes. 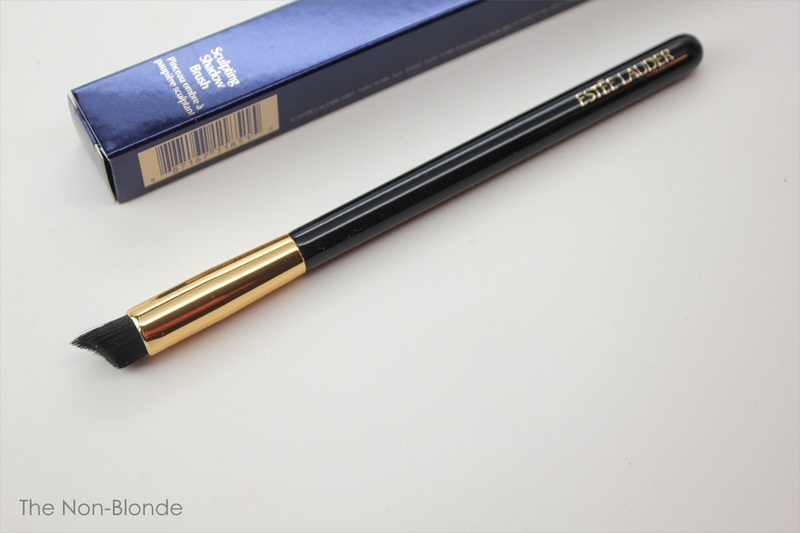 Estee Lauder Sculpting Shadow Brush ($32, made in China) is available from most department stores. For some reason I can't find it on Lauder's website, but it's just about everywhere else. 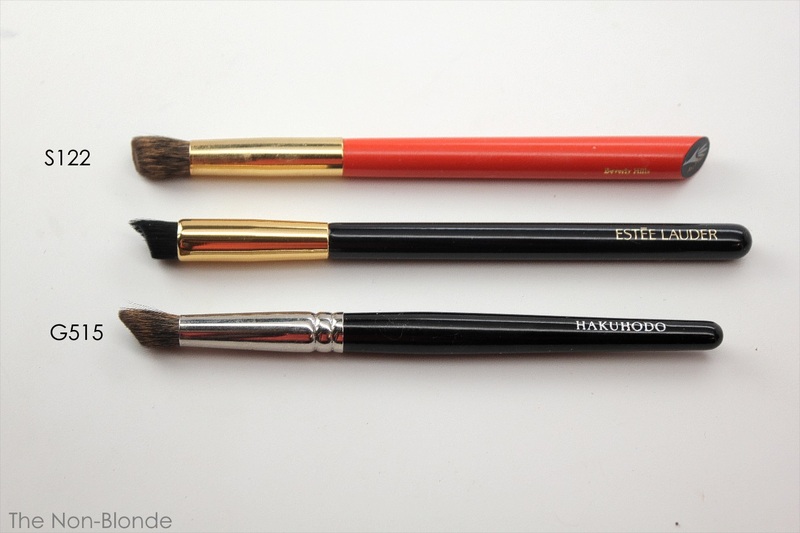 This is an interesting brush for sure! It feels softer than synthetic to me, but the shape has thrown me off and I still need to figure out how to work it. Glad to hear that you liked it!